According to the EPA’s most recent Fact Sheet, in 2014, 136 million tons of waste ended up in a landfill. The single largest category of waste was food, at 21.6 percent. That means that in one year Americans trashed over 29 million tons of compostable food scraps. In the US alone, a third of all bread is wasted. We all know the drill—it gets stale or it goes moldy, and, really, nobody likes the heel. So you chuck it. Here in the Hudson Valley, composting is a lot easier and more popular of an option than in some urban centers, but people still throw away a LOT of food. And it’s not just homes, bakeries throw out the lion’s share of bread waste—countless unsold loaves are trashed every day in order to keep a fresh supply. In 2015, British social entrepreneur Tristram Stuart was traveling abroad when he met the founders behind the Brussels Beer Project, who were working on Babylone, a bread-based bitter, made in the style of 5th-Century BCE-era brewers. Stuart, who has dedicated his life to publicly campaigning against food waste, saw a golden opportunity. Back home in the UK, almost half of all bread produced is wasted. According to Stuart the global food system is “hemorrhaging food at every link in the supply chain,” a problem he has worked tirelessly to address with his nonprofit Feedback Global, which advocates for a stable, circular food system. 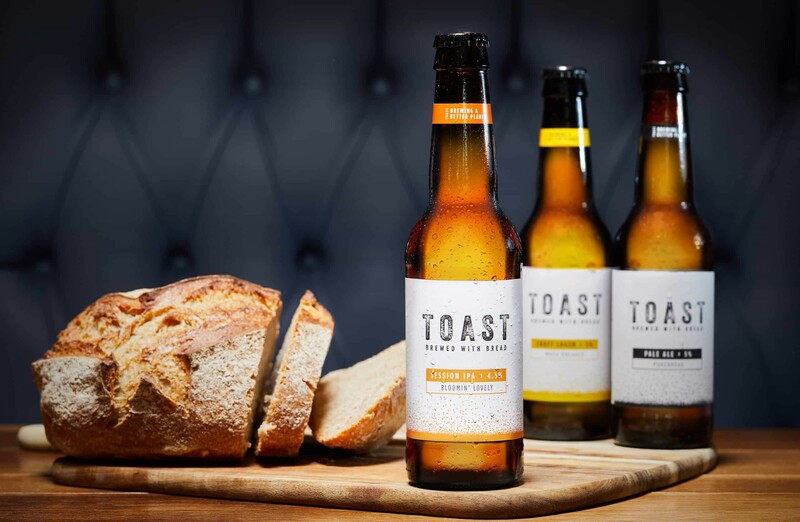 “I decided to create a beer that could tackle bread waste at an industrial level, whilst raising awareness of food waste globally and raising funds for Feedback,” Stuart says. Thus, Toast Ales was born, a B-Corp Certified company that brews its beer from entirely from unsold loaves of bread. “We brewed our first batch in Hackney, London and launched to coincide with a feature on Jamie Oliver and Jimmy Doherty’s Friday Night Feast in January 2016,” Stuart says. With over 20 employees and production facilities in six countries, including the US, the UK, Iceland, and South Africa, the company has grown wildly in just two years. 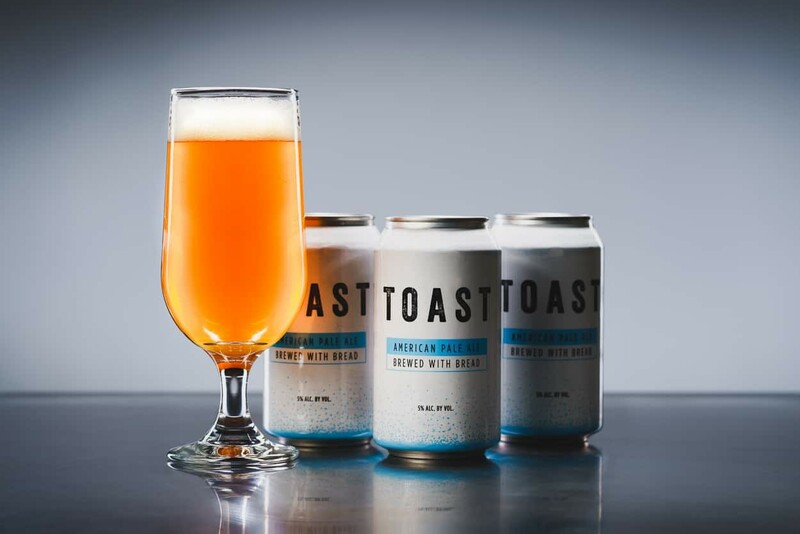 In July 2017, Toast opened its first Stateside brewery in the Bronx in collaboration with Bread Alone Bakery. “It's been a year since launch, and we couldn't be happier about the reception here,” says Jo Ehrenreich, general manager of the American branch. Toast has been stocked at Whole Foods since Day 1, and it’s also available at Shake Shacks, Blue Hill, and many other restaurants, stores, and bars across New York City, Long Island, and the Hudson Valley (look for a De Cicco’s near you). Toast’s brewing process is surprisingly similar to that of standard brewers. “We simply replace a third of the malt bill (malted barley) with fresh bread, which is sliced and torn up, then added to the tanks along with the other ingredients,” says Ehrenreich. “Bread replaces the necessary sugars for brewing, making almost any type of beer possible.” The company primarily brews with sourdough, though any kind of bread would do. “We give away bread to all the humans that we can. We have a list of folks that come to the bakery, and we also donate to most of the local community food banks,” says Nels Leader, CEO of Bread Alone. “Anything we can’t give away to people we donate to animal farmers—there are a lot of well fed pigs in the Hudson Valley.” The remainder of the loaves are composted—except when they are reserved by Toast. Toast and Bread Alone are well aligned from a values perspective. Bread Alone was one of the first bakeries to commit to using organic wheat (before the USDA had even defined the term), and more recently the company has made a deep commitment to sustainability, including investing in renewable resources, high-efficiency ovens, and reducing their waste. As a triple-bottom-line company, Toast gives 100 percent of its profits to Feedback Global. Toast never competes for food pantry or soup kitchen donations, accepting only the loaves that remain after bakeries have made their donations. As of June 21, the certified B-Corp has saved 27,141 pounds of bread from the British landfills, instead using it to brew 34,820 gallons of delicious beer. Through their nascent New York operation, they’ve rescued 2,175 pounds of bread and brewed 5,115 gallons of beer. The beer list is a cleverly monikered mix of the trending favorites—Much Kneaded Craft Lager, Bloomin’ Lovely Session IPA, Purebread Pale Ale, an American IPA, to name a few. And brewing with bread apparently doesn’t mean sacrificing flavor either. Earlier this year, Toast Ale won the silver medal at the 2018 New York International Beer Competition for their American Pale Ale.